How putting $100 a month away will help put you on being able to retire when you can no longer work and never run out of money in retirement. Start young, keep putting money away, and enjoy your retirement. 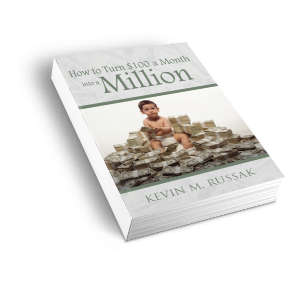 How to Turn $100 a Month into a Million will teach you some tips on how to cut on expenses and make wise investment decisions. Copyright © 2013. Kevin M. Russak. All rights reserved.